Three Bloomfield is a delightful cottage in the countryside with stunning views five minutes from Bath. 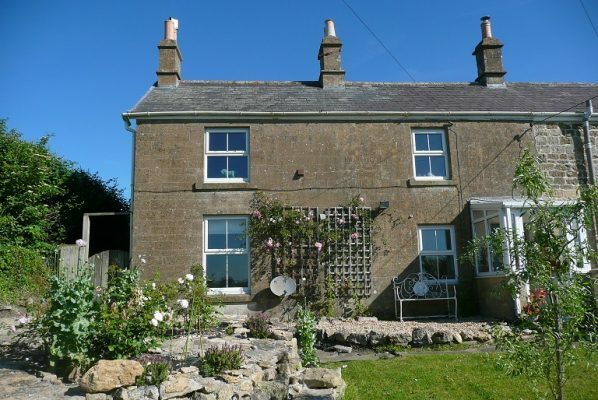 The cottage has a friendly, relaxed and comfortable atmosphere, with its own parking. There are two bedrooms both with own shower/loo, and a television breakfast room just for guests. Three Bloomfield can be booked as a self contained unit for short breaks and is ideal for 4 people although it can sleep up to seven. Children are welcome and there is a travel cot. There is a fridge, microwave, kettle etc and meals can be eaten in the garden if we are lucky enough with the weather or in the guest lounge…..or in bed if you wish. The cottage is within easy reach of Priston Mill wedding venue, Bath and Bristol which is about 25 minutes drive away. Set to the south of Bath there is also easy access to the attractions of Somerset. Breakfast is provided for guests to help themselves when ever they wish. Cereals, cheeses, yogurt, breads, juice, milk, coffee, teas, snacks etc are available from booking in.